Normal price Steganos Online Shield VPN is $49.95 for 1-year and now it free. The free license key for new version Steganos Online Shield is available on the Stegano giveaway. Download the Steganos Online Shield VPN full license key and get free bandwidth 5GB monthly. The license key on this promo is active for 1-year and allow you to protect up to 3 devices. 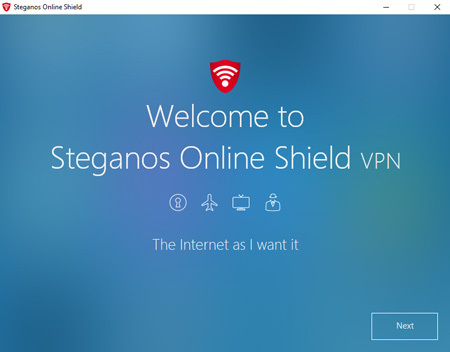 Steganos Online Shield is an alternative software to Hide.Me VPN. Like other VPN software, the main function this software is to protect your online activity. It allow you to online anonymously because your IP protected using a proxy. It also encrypts your internet connection to make sure it secure. So, using Steganos Online Shield VPN, you can access any website that blocked your IP or your country area. On this short-time giveaway, download Steganos Online Shield VPN license key for free. The giveaway is for a short time only. There two active giveaway on this offer that offer free 2GB or 5GB free traffics. To get the full Steganos Online Shield VPN license key is very easy. Just follow the steps below. Unfortunately, the giveaway in The German language. You no need a translator because the steps are easy to understand. Open or visit the giveaway page above. Fill up the online form. Just enter your valid email address then click on “Seriennummer anfordern”. The license key should in your email within a few minute after submitting the form. Check your spam folder if does not receive in a few minutes. After receiving the activation code, download the installer giveaway version. Install and use the license key to activate. You can use Steganos Online Shield on Windows or smartphone (Android). And get free protection when online. Encrypt your internet connections. Allow surf anonymously. Protect yourself when using wireless public connection against snoops. Bypass GEO restriction by using secure external servers. Server choice available in the US, German, France, Switzerland, and UK territory. Unlimited backup data traffic for paid version. Giveaway version offer 5GB or 2GB monthly traffics only. After giveaway ends, you may get 500MB free traffics only in trial version. The giveaway is time limited, so you you must hurry to get Steganos Online Shield VPN with free license key. Installation Tips. If you do not require email newsletter, please uncheck the “Ich mochte zukunftig den Steganos-Newsletter erhalten”.